Samurai's Heavy Duty Series saw was designed to take the punishment and abuse that even the most aggressive trimmer can dish out. 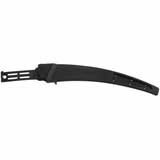 The non-tapered set tooth blade offers excellent cutting edge durability through and impulse hardening process. 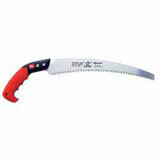 The 13" saw comes complete with scabbard for safe storage and transport.